Marina Jigalova-Ozkan is Country Manager of The Walt Disney Company Russia and the Commonwealth of Independent States (CIS). 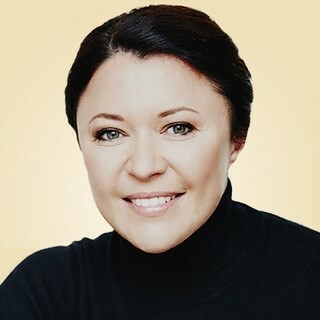 In this role, Marina Jigalova-Ozkan is responsible for all of Disney’s businesses and brands within Russia, CIS, Georgia and Mongolia. Under Marina’s leadership, The Walt Disney Company Russia and CIS has grown into one of the leading entertainment and media companies in the market place. In 2011, Marina Jigalova-Ozkan led the successful launch of the Disney Channel, making it the biggest family entertainment free-to-air television channel in Russia. She also successfully launched the local film and TV programme production hub, including the successful release of the Russian, Disney-branded movie “The Last Warrior”, which became onе of the top grossing films in Russia and CIS history. Marina has also worked with Russian theatres to feature Disney’s award-winning Broadway musical productions, receiving critical and public acclaim, and built functionally integrated businesses that allowed Disney Consumer Products to become the number one licensor and kids’ publisher in Russia. Marina Jigalova-Ozkan is named in the top two Russian managers in Media Business by the annual Russia’s Managers Association’s Top Managers Rating. She is also a member of the Russian Television Academy and National Academy of Cinematic Arts & Science and is a recipient of state awards. Prior to joining Disney, Marina Jigalova-Ozkan worked at Prof Media Holding Company for six years, starting as Deputy Director General in 2001 and appointed First Deputy Director General in 2004, responsible for developing the company’s overall strategy and managing the core business activities on a day-to-day basis. From 1994 to 1996 Marina Jigalova-Ozkan served as a financial analyst at the European Bank for Reconstruction and Development in London and worked at Interros Group as Vice-President from 1996 to 1999.